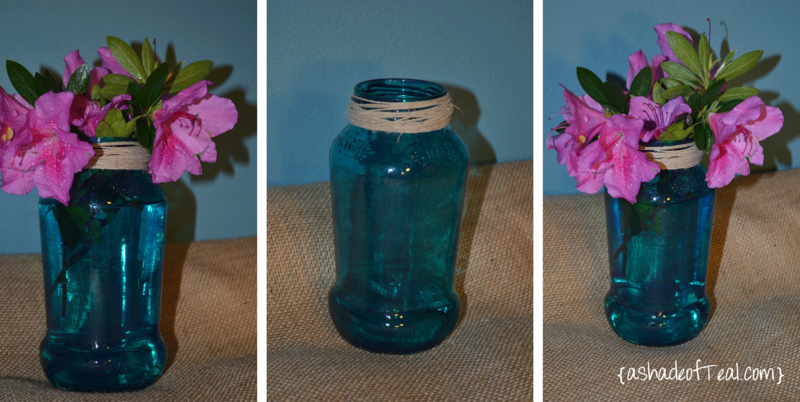 I love Mason Jars, and I love Teal, so finally jumping on board the DIY-Mason jar project has been a goal of mine. However…Not as easy as I thought! 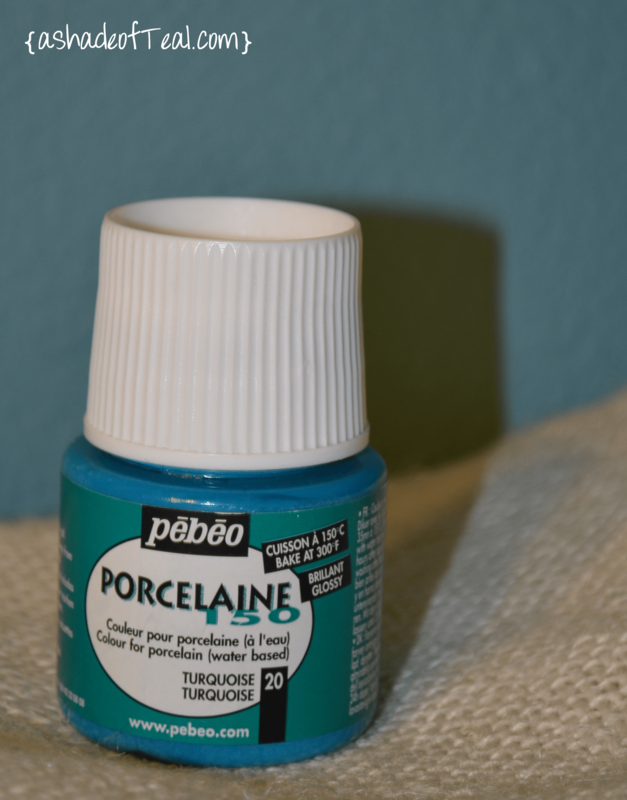 I accidentally bought Pebeo Porcelaine-150 in Turquoise instead of the Pebeo Vitrea-160. This is actually meant for painting porcelain, however it does say you can use for glass as well. I made sure to follow all directions on the bottle; cleaning them first, then painting. The directions suggest to use the thinner, I decided not to. Also, the directions say not to worry about the bubbles or brush strokes since once you bake the glass jars these will disappear. You can clearly still see all the brush strokes! I was not a happy camper! 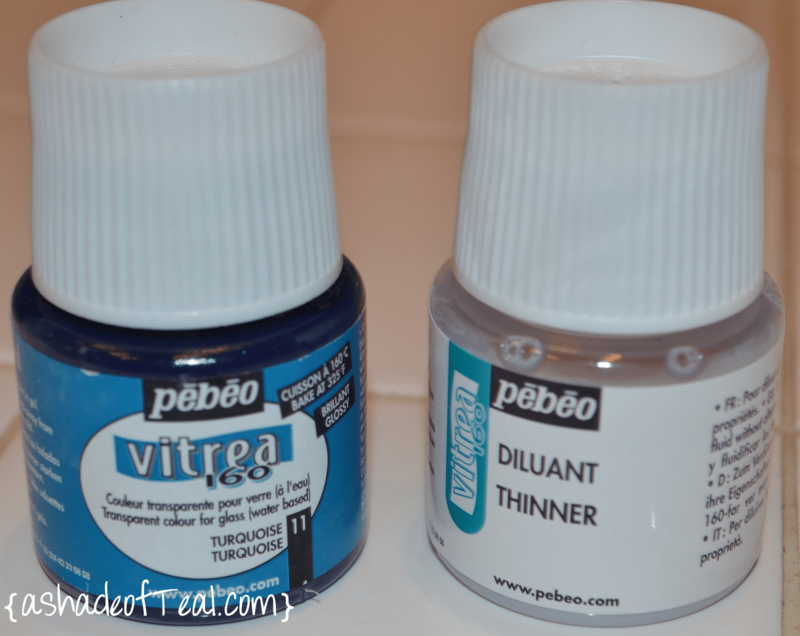 I went back to the store and made sure to buy Pebeo Vitrea-160 along with the Thinner. I applied the same way I did on Round-1, not worrying about the bubbles & brush strokes. But my results were the same as the 1st round. I was pretty annoyed so I didn’t even bother to take any pictures. I realized that when painting the jars that the brush strokes & bubbles really did play in effect. So I changed brushes. 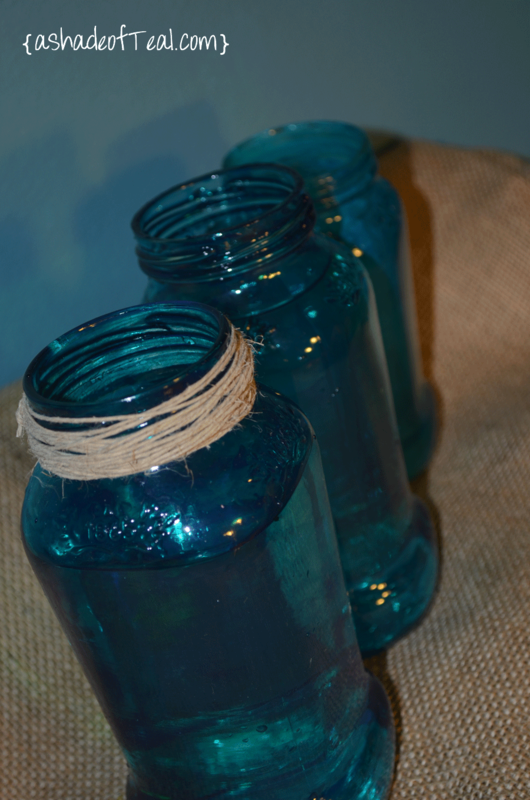 Here is after painting the jars, I tried to get all the brush strokes & bubbles out. Here’s Round-3 results after baking: So much better! Now that I know what I was doing wrong I’m planning on making several more. 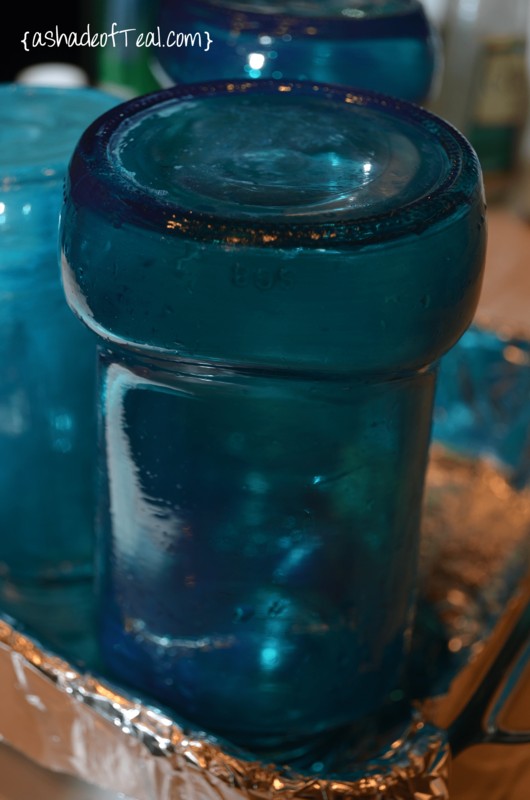 But, next time I’ll experiment with the thinner to make the jars even more transparent. 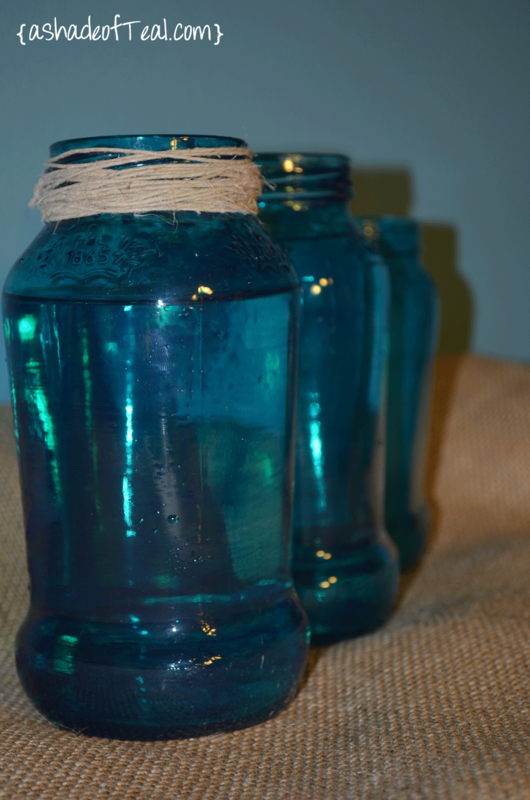 I think yours is my favorite version of the colored mason jars! I like how not thinning the paint gives it a much more bold color! PERFECT! 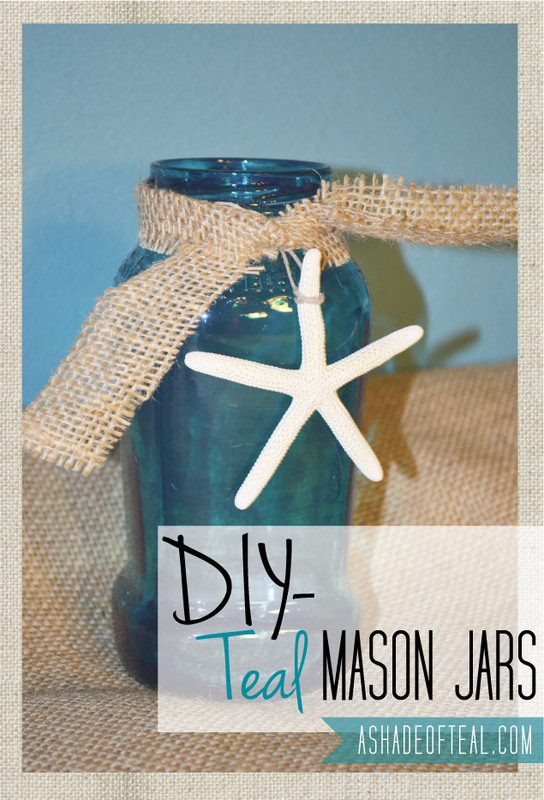 I am getting married in september and have been trying to find atleast 75 of these teal mason jars, and have had no luck…is there anywhere you could recommend to get these in bulk? 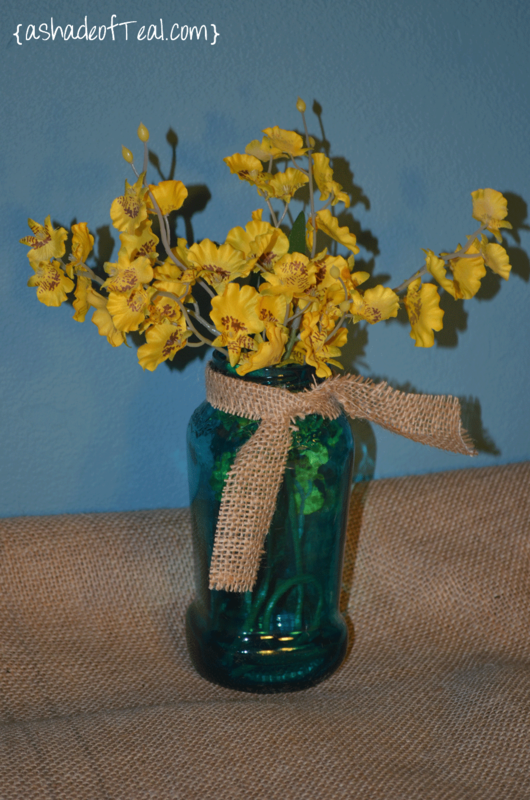 Not sure where to get them already in Teal, you can always just make them! Hello! About how many jars do you think one Pebeo Vitra- 160 and one thinner would make you? I see you were making 4 at a time here.. but If you wanted to make about 24 jars? How much of the paint and thinner do you think you would need? Thanks!! I’m not sure. But I have done about 10 jars and still have plenty left of both, so maybe 2 jars of each. What kind of paint brush did you use? These look great! 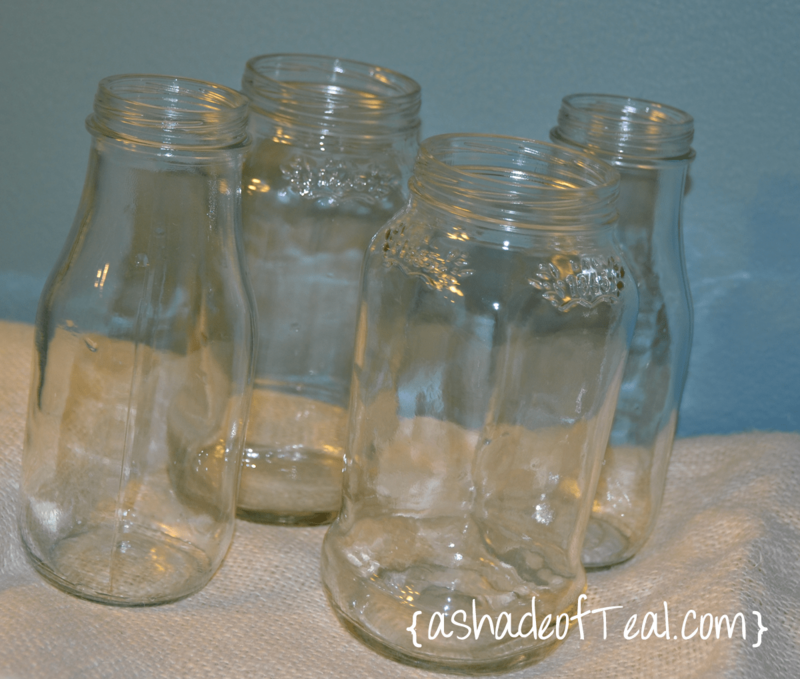 Did you paint the outside of the jars, or the inside? Also, how long did you bake them for, and on what temperature? I painted the outside, you can also paint from the inside its just a little harder. But I recommend to follow the instructions on the bottle. Otherwise, I think I baked them at 325 F for about 40 minutes. Hi…. 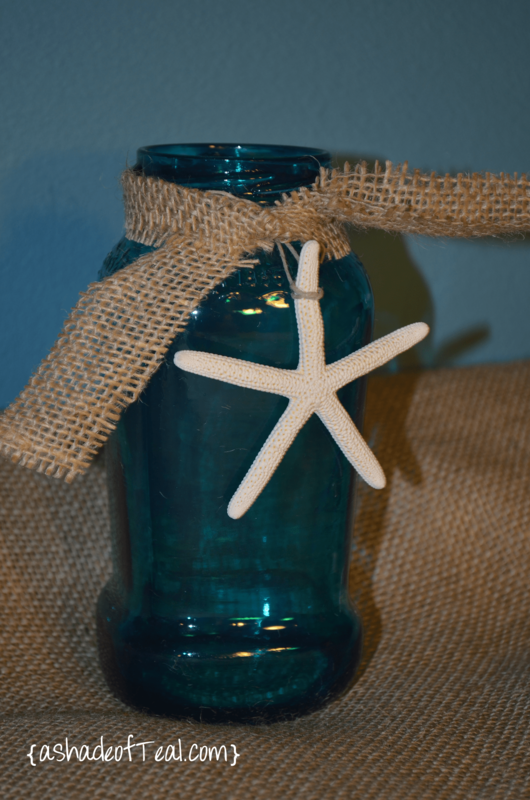 Your jars look great! 🙂 I’m really struggling at the moment with streaks and bubbles too. 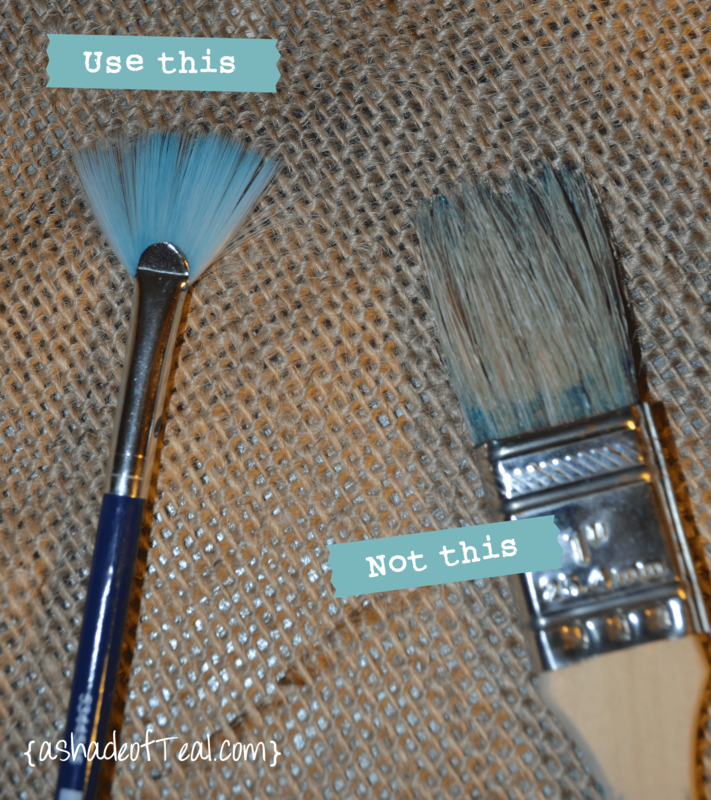 Do you remember what kind of ratio of paint and thinner you used? Thanks!! I believe I used 3/4 part paint and 1/4 thinner. But changing what brush I used really helped eliminate the bubbles. I think I also brushed on 1 layer let it dry for a couple mins then added another layer to get the finish perfect. Good luck! These look great! Just curious, where did you find the paint? Can I get it at hobby lobby or michaels? I originally bought the paint at Michael’s, but when I tried to go back and buy more colors they were no longer selling it. You might have to try on-line. Amazon sells it. Hi. I live in OC too. A couple of tips for using Pebeo Vitrea 160 on jars, etc. A spong brush works too. No brush lines. Let the jars dry 24 hours then bake. 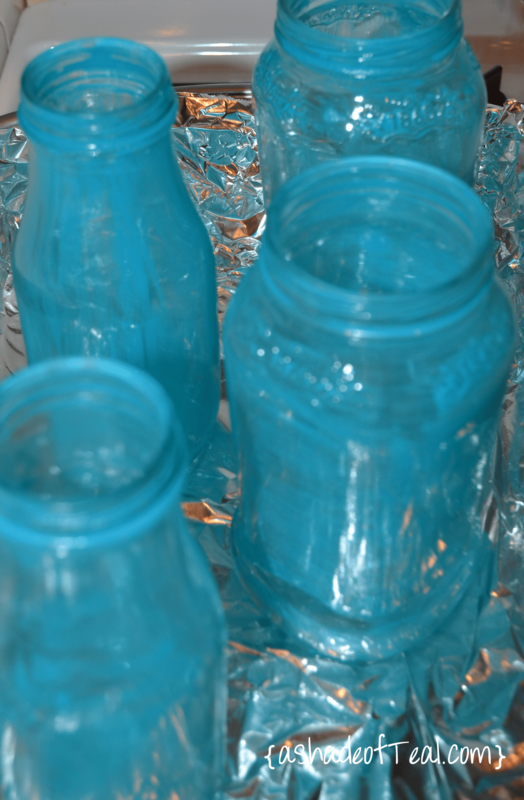 Put the jars on a sheet in a cold oven. Then set temp to 325. After 40 mins., turn off the oven, leave the jars in there until the oven cools down, then taken them out. Walmart has canning jars by the dozen (Mainstay brand). They are plain. No raised up letters that say “Ball” or “Kerr” on them. Pint and quart sizes. Around $10. Blick Art Supplies has everything Pebeo. I’ve tried doing this in the past, with no luck. I’m going to try to do your way now. The last time I did this, I used Modge Podge, watered down, with food coloring. Worked GREAT! (Though I really like how translucent and even yours came out here.) 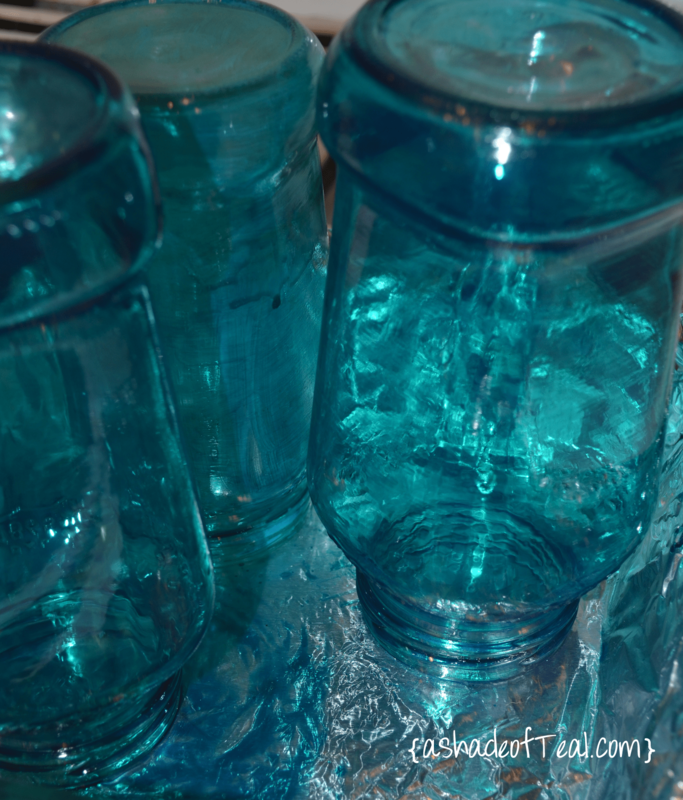 I also used Elmer’s Glue watered down with food coloring… it gave the glass a frosted look. Pretty, too! Yeah, I have tried it that way too but I really wanted a more permanent stain. That way you can wash them and not have to worry about removing the color. Hey I just tried using these products and painting the inside of the jars with a sponge brush, looked great until i left them to dry and then the rim of the jars got a thick layer of paint which was darker and didn’t look great. I tried wiping it away but then it just ruined the rest of the paint. 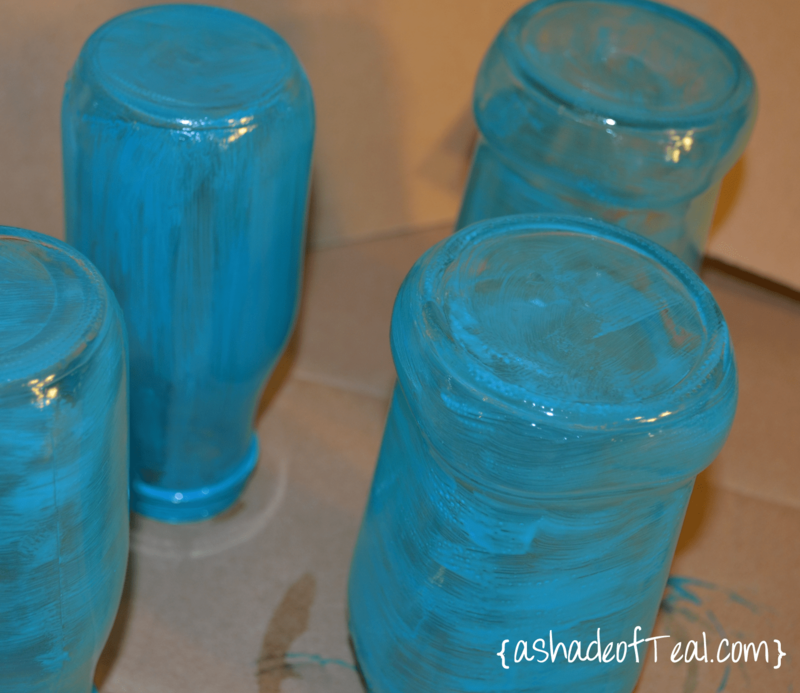 I just read your post and the comments and thinking i’ll try painting the outside of the jars this time. One thing I’d like to know is how did you handle the jars without putting fingerprints on them? And did the paint gloop at the neck of the jar? This is a older project, but I think I painted the opening 1st then turned that side down and painted the rest so I wouldn’t have to touch it. But after it dried for 10-15 minutes I did have to re-brush certain areas to get a cleaner look.